Recently, a couple of friends and I took a much needed day off. We didn’t want to travel too far from home, but wanted to get away from the same old cafés in the centre of Nottingham. We were hoping to spend the day drinking tea, eating cakes and having a good old girlie natter and catch up. At the suggestion of one of our parents, we drove over to the nearby town of Southwell, which seems to be the land of lovely tearooms. We did indeed spend a couple of hours eating, drinking and chatting, but left enough time to have a little explore. Southwell is a picturesque town with a beautiful minster and some interesting shops. Of course, my eyes were kept peeled for a good bookshop, and as luck would have it, I did not need to look very far! Just across the road from our chosen tearoom, we found exactly what I was looking for! 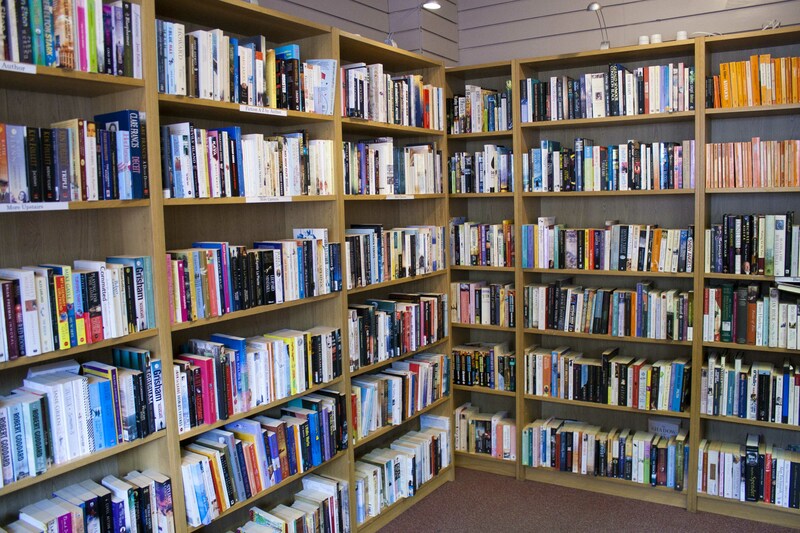 Bookwise is a charity secondhand book and music shop. As we entered, we were given a warm greeting by the friendly woman behind the counter. Inside, the shop is bigger than I had imagined and I felt a rush of excitement at the sight of rows upon rows of fiction books and a sign saying ‘more upstairs’. The fiction section had everything from Sebastian Faulks to Stephanie Meyer and Zadie Smith to John Grisham. The average price seemed to be approximately £2, which is a bargain for a presentable and well looked after secondhand book. Also to be found downstairs were the usual penguin classics and a decent amount of children’s books. You could also browse through history, art, music and other non-fiction. 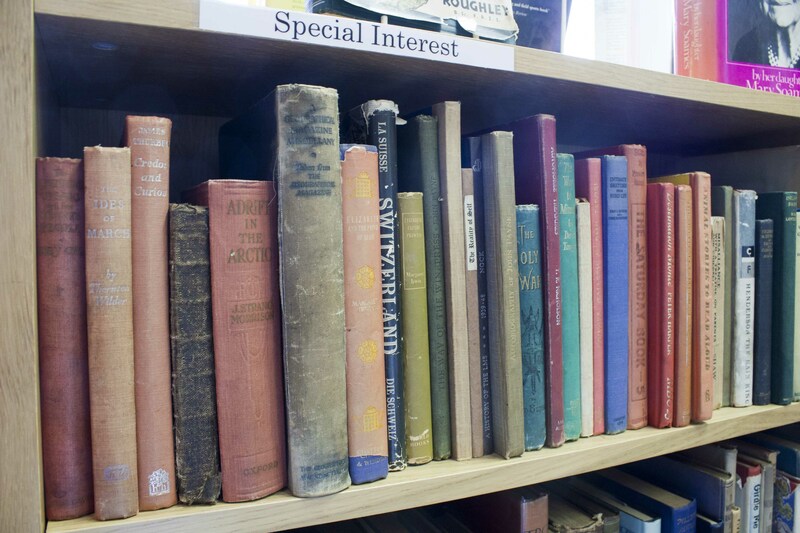 I particularly enjoyed looking through the ‘Special Interest’ shelves which had some charmingly old and battered books with a mix of oddball titles and different subjects. After having a nosey around downstairs, I thought it was about time to take a quick look upstairs. I say quick, but I did not realise quite how many books I would find up there! As well as more general fiction, there were shelves filled with crime and romance. 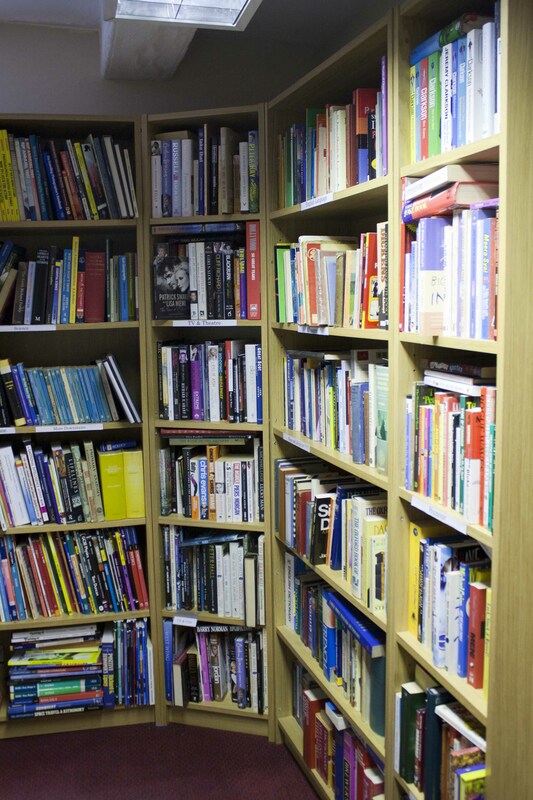 There was also more non-fiction on offer in the form of biographies, study guides, science and Tv and Theatre. But best of all was the ‘Books for 50p’ section. I’m surprised my friends did not send up a search party as I must have been quite a while rummaging through the 50p books. In the end I decided upon one book only, trying to restrain myself. I think 50p isn’t too bad for Isabel Allende’s The House of the Spirits. Returning downstairs with a smile on my face, I was then told something that would only make my smile bigger – There was an offer on the 50p books of buy two get one free! Three books for a pound? Surely that was just too good to be true! In the end, overwhelmed by choice, I handed the decision over to my friends and ended up with More Cat Stories by Stella Whitelaw (because I am a cat lover) and one friend chose The Kite Runner by Khaled Hosseini for herself. Overall, our visit to Southwell was a pleasant and successful one. This lovely little town is a definitely a welcome place for tea drinkers and book lovers. I also found out that there is another Bookwise just a ten minute walk from my home in Nottingham, so expect another review in the next few weeks! Money raised at Bookwise helps to support Music for Everyone, an independent arts organisation in the East Midlands whose aim is to get people of all ages and across all communities involved in music making. 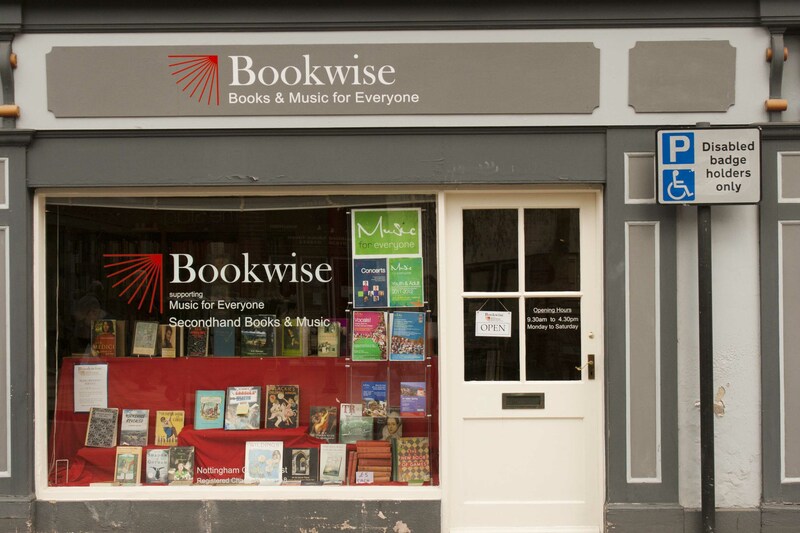 To find out more about the Bookwise shops, take a look at the website. If you would like to visit the shop in Southwell, the address is: 2 Queen Street, Southwell, NG25 0AA. (phone: 0115 9596484 ). Very, very tempting and a great excuse to visit Southwell again. I haven’t been for years. House of the Spirits for 50p? Even less when you included the other two. Fabulous! I read that when it first came out and loved it. It was almost like two different books, but which fitted extremely well together. Hope you enjoy it. Of course Music for Everyone is a wonderful organisation. So win win is it exactly! Oooh, I’m even more excited to read House of the Spirits now! 😀 I have only read one book by Isabel Allende but was really impressed. Thanks for the comment! Thanks for the lovely review! We look forward to meeting you when you visit our shop in Notts City Centre! Always nice to hear about these little gems, I always seem to end up failing to find them myself and settling for Waterstones prices. Think I’m going to have to start taking my camera with me and hunting them down properly. Hope you enjoy your Cat book! I was so desperate to find my sister a last minute birthday present last year that I totally panicked in the bookshop and ended up getting her an antholgy of dog stories… yeah, not sure she’s ever going to read that. Awww. I think that’s a pretty good present! (If she likes dogs, of course). Thankfully she does. We’re all massive dog people in my family so even if she doesn’t read it it sort of worked as a joke present. Checking out the description again though it doesn’t actually look as bad as I remembered from my ‘grab the first book that might appeal’ panic…has a Kipling and a Wodehouse in there and lots of famous authors I really should have already read stuff by… Might have to borrow it from her at some point. Yeah, that doesn’t sound too bad at all! You should give it a go and review it for your blog! What a wonderful discovery! The Cat Stories book sounds particularly appealing – I’m a cat lover, too! Haha, the cat book is a bit of a risk, I think. It has a very odd front cover! But I’ll put a review up when I’ve read it. Perhaps it will turn out to be some sort of long lost classic! I’ll definitely have a hunt for Bookwise the next time I’m in Southwell and you’re right, it is the loveliest town! Don’t forget to check out the 50p section upstairs! I think I would love that store…and it is for charity. Win win!